If you are having problems logging into your Parent Portal account, you can contact your child's school for assistance. 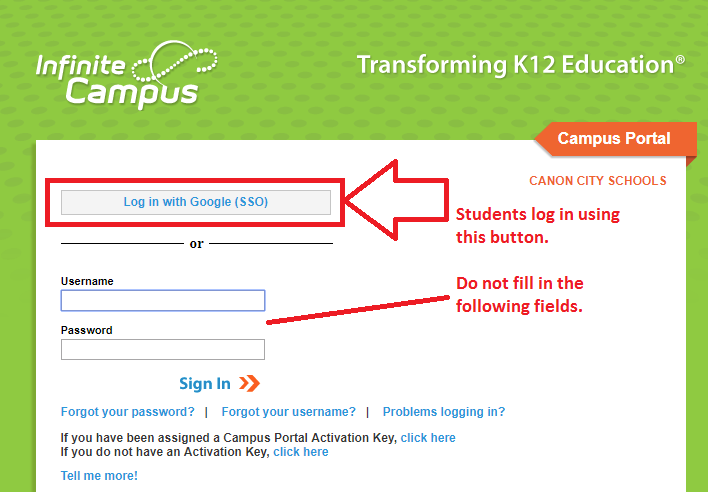 Please select the "Log in with Google (SSO)" button. This will prompt you to log in with Google. Works best if you are already logged into Google in the browser.